Help!! I cant decide between the two watches! Any input would be great! Thanks. 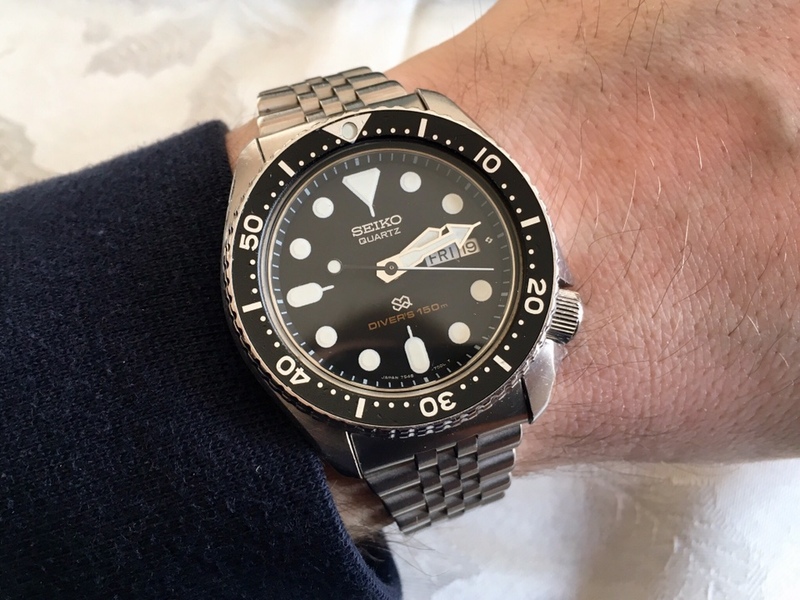 You can get an skx any day of the week for the next 20 years. Get a 7c43 before they disintegrate, beautiful aesthetics, imo. The SKX007 is a good automatic watch, the 7C43 is a GREAT quartz watch! My 7C43 from 1989 has gained 17,1 s in 143 Days which is pretty awesome. Last edited by namkrad; 03-20-2019 at 03:03 AM. +1 for the 7c43. Or better yet, get both! As 7c43s are scarce, perhaps consider a nice 7548? Not quite the clean/contrasty look of the 7c43 what with the bright white hands, but certainly more affordable, available, nearly equally bulletproof movement, and parts are more easily available as you can scavenge from a common 7546.